Although not a new company, ProSupps are relatively new to Australia. In the short time they've been here, they have already made a strong impact with their creatively named pair of pre workouts, Dr Jekyll and Mr Hyde. Between the two, Hyde is the more animalistic of the two. Read this review to find out why. Even with all the existing pre workouts on the market, Hyde has managed to set itself apart from the competition. Taking a quick look at its list of ingredients is enough to explain why its so special. The first few ingredients are fairly standard for pre workouts; beta-alanine, creatine HCl, leucine, citrulline malate, and agmatine sulphate. However, after these, things start to get interesting because you find ingredients like; N-methyl L-Tyramine HCL, three forms of caffeine, Citrus aurantium, octopamine HCL, and Dendrobium extract. For those who are in the know, they would immediately recognise all those ingredients as stimulants. To cap things off is picamilon, which can help reduce anxiety and improve mental performance. Hyde is quite possible the most potent and energising pre workout supplements on the legal Australian market. However, unlike the previous generation of hard hitting pre workouts, a tiny 7 g scoop of Hyde is able to give you endless energy without the sudden crash after an hour or two. Instead, the mental buzz tapers off gradually after you complete your training. In addition to the energy, ProSupps were very transparent with their labelling, showing users exactly how much of each ingredient they have placed into the powder, so you know exactly what you're getting. What many may consider to be Hyde's biggest strength, some may consider to be its biggest weakness. For those that are not particularly keen on stimulants, you may find that Hyde may not be to your liking. For example, non-stimulant based ingredients like citrulline malate and leucine, are fairly under-dosed when compared to some more rounded competitors. 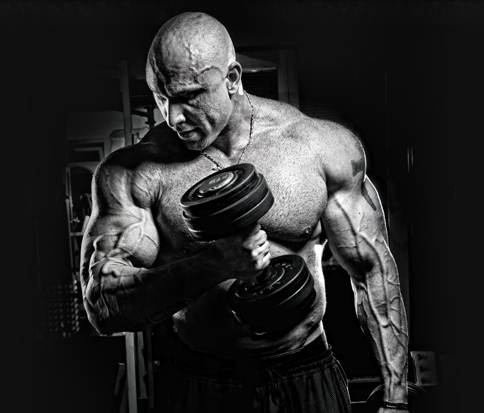 If you are not much of a stim junky, then the pump-based Dr Jekyll formula may be more to your liking. However, it should be noted, as tempting as it may be, that the two products are not designed to be mixed together. Hyde has recently expanded its number of available flavours to include red raspberry, orange guava, lemon raspberry, fruit punch, grape, watermelon and blue raspberry. Mixability is excellent, even with a cup and spoon. The shake is clear, clump-free and tastes good. There is a hint of a bitter aftertaste, most likely from the high level of stimulants. Hyde is one of the most potent energy based pre workouts currently on the market. If you are one that is disappointed with the current generation of pre workouts, finding that they are simply too weak, then ProSupps Mr Hyde is a must try for you. However, if you live for the pump, you may instead wish to look into Dr Jekyll.